"We are so happy and proud to announce the birth of our perfect daughter, Birdie Mae Johnson. 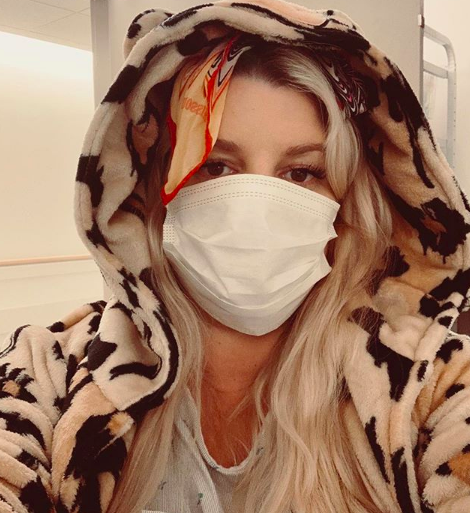 3.19.19 10 Pounds 13 Ounces"
Back in May 2017, Jessica Simpson, 38, told Ellen DeGeneres that she and her husband Eric Johnson were not having any more children. They are already parents to 6-year-old Maxwell and 5-year-old Ace. “We got an IUD, nothing is going to get into that uterus." Yet Jessica happily announced in September 2018 that the couple is now expecting another baby early this year. Ease the discomfort of swollen ankles. Jessica’s not alone. Most pregnant women can relate to suffering from swollen ankles. Ankle swelling is most commonly caused by increased water retention and production. The body needs more fluid during pregnancy so it holds on to more and that means edema or swelling. Ankles tend to show swelling more prominently because walking and sitting for long periods allows water to collect in the extremities. Update 1/21/19: With just weeks away, Jessica may have revealed her daughter's name in an Instagram post from her baby shower this past weekend. 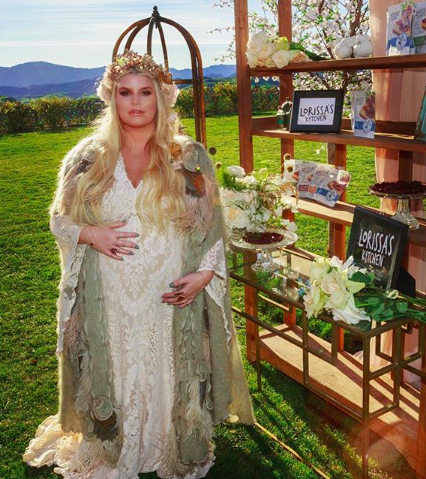 She posed for the pic along with her daughter, Maxwell, sister, Ashley Simpson, Ashley's daughter Jagger Snow, and their mom, Tina, under a backdrop that read "Birdie's Nest." Incidentally, WWE Superstars Brie Bella and Daniel Bryan also named their daughter Birdie back in 2017. "After a week in the hospital for bronchitis (my fourth time in 2 months), I’m finally home! Coughing with Birdie has been a crazy painful journey. I am slowly getting healthier every day. Baby girl was monitored and is doing amazing! I am on my way to healthy and counting down the days to see her sweet smile. Sending love and prayers to all the mothers who are going or have gone through this. OUCH"
Let's hope Jessica's labor is smooth sailing. Feel better, Jessica!